Real-time hyperspectral image classification is a necessary primitive in many remotely sensed image analysis applications. 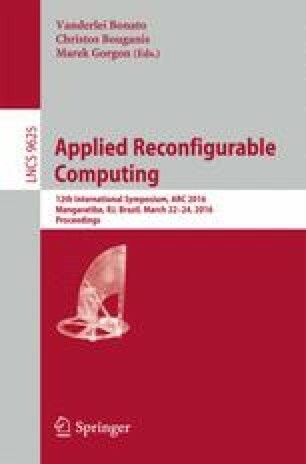 Previous work has shown that Support Vector Machines (SVMs) can achieve high classification accuracy, but unfortunately it is very computationally expensive. This paper presents a scalable dataflow accelerator on FPGA for real-time SVM classification of hyperspectral images.To address data dependencies, we adapt multi-class classifier based on Hamming distance. The architecture is scalable to high problem dimensionality and available hardware resources. Implementation results show that the FPGA design achieves speedups of 26x, 1335x, 66x and 14x compared with implementations on ZYNQ, ARM, DSP and Xeon processors. Moreover, one to two orders of magnitude reduction in power consumption is achieved for the AVRIS hyperspectral image datasets. This work was partially supported by the Fundamental Research Funds for the Central Universities (Grant No. HIT.NSRIF.201615) and China Scholarship Council.